The United States is finally getting around to building a memorial to Ike: Dwight D. Eisenhower, a Kansas lad who became one of our greatest heroes and most popular presidents. 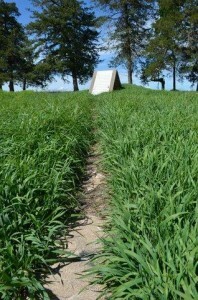 Some Eisenhower descendants and art critics complain that the design of the planned memorial, by modernist architect Frank Gehry, portrays Ike as a country bumpkin — a “barefoot boy from Kansas” — while relegating his distinguished military and presidential leadership to a row of background tapestries. Poor Kansas. People who are from there can’t stop talking about its subtle allures, but for most other people, it’s unremarkable flyover country — the middle of nowhere. It is, quite literally and precisely, the middle of America, leaving out far-off Alaska and Hawaii. 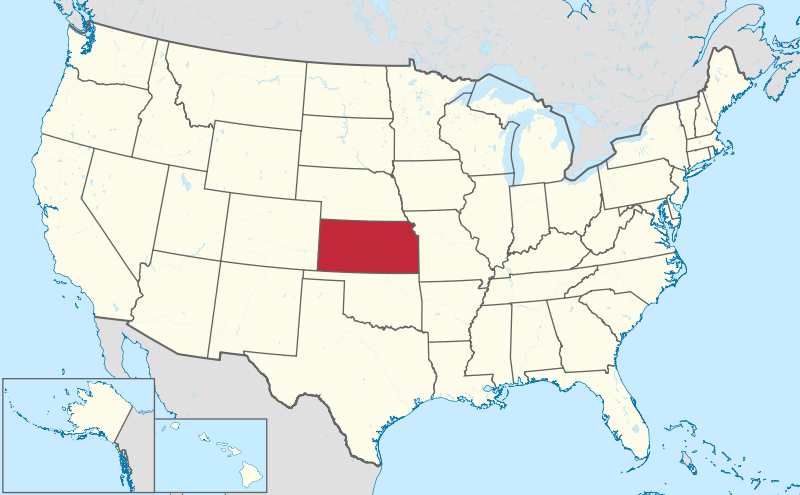 The exact center of the “Lower 48” states below Canada is located in a field of milo just outside the tiny town of Lebanon, Kansas. 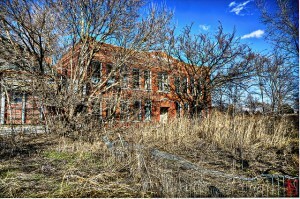 Unfortunately, Lebanon, population 250, could be the test case for what some observers call “dying rural America.” Many towns in rural Kansas — and neighboring farm states as well — have steadily lost population, and with it, their high schools, grade schools, car dealerships, and community halls where movies were once shown. A few years ago, I visited little Delphos, Kansas, home to 469 people in 2000 but just 359 two years ago when the next decennial census was conducted. A nursing home, the town’s largest business besides the grain co-operative, had closed for lack of residents, and a onetime farmer named Greg Berndt was running the only remaining grocery store. It operated in a classic, century-old building with a tin ceiling, a screen door that squeaked, and a bell that jingled each time a customer walked in. Only it wasn’t jingling much anymore. 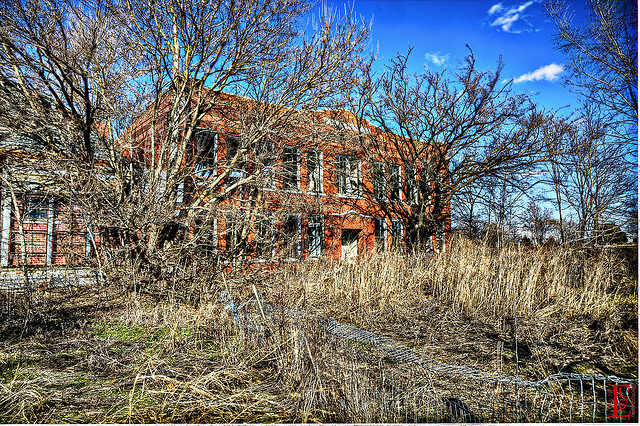 When the area school board closed Delphos’s only school, a middle school whose students were folded into a larger one 30 kilometers (19 miles) away at the county seat, the downward spiral accelerated. 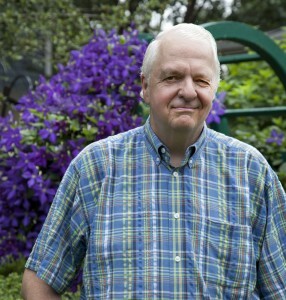 A couple of years ago, Greg sold the store and went back to farming. “People die,” poet Joseph Stanley Pennell wrote about Kansas in 1935. They are decently buried . . .
out here in God’s country. A “sea of grass,” is what the first Europeans to see it called the never-ending tallgrass prairie that, at the time in the 19th Century, stretched from Texas and Oklahoma all the way north through Kansas and three more states into Canada. 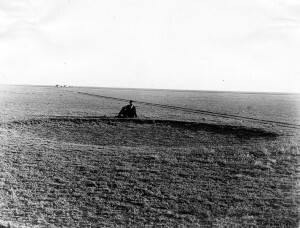 Many immigrants, and Americans from “back East,” looking for a bit of land and new start, either dug ruts into the prairie as their wagons, called “prairie schooners,” worked their way west to Oregon and California, or took the government’s offer of 65 free hectares (160 acres) right there on the Kansas plains, settled down, and built “soddies” — sod houses. In his Kansas bicentennial history, published in 1976, Kenneth Davis writes about Lindsborg, Kansas, a little town settled by Swedes. Back in Scandinavia, Lindsborg was famous, a promised land of — if not milk and honey and streets paved with gold — rich black soil ripe for planting. 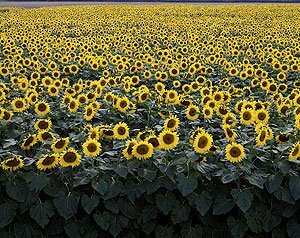 Many newcomers soon called Kansas not a sea but “The Great American Desert” after deciding that nothing but flowers and grasses would grow in its long, dry summers and blizzardy winters. You can say this about Kansans, though. They’re a sardonic lot in the midst of their struggles. In his “Tales Tall and Short,” published in 1976 in the Kansas Arts Reader, author William E. Koch told the story of three friends: a Californian, a New Yorker, and a fellow from western Kansas, who all agreed that they were such friends that they should leave the world together. They built a large crematorium and, apparently while still alive, consigned their bodies to the flames. 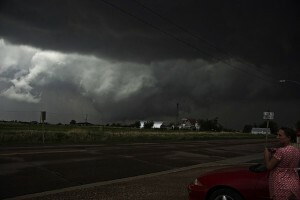 Along with neighboring Oklahoma, it’s “Tornado Alley,” where real farmhouses and real people — not just the fictional girl Dorothy and her dog Toto in the book and movie The Wizard of Oz — are blown about violently each spring. The universe swayed and swirled. In the spring, it was pretty usual to have bad weather a couple times a week, and normally in the late afternoon/evening when the air was unsettled. We had a two-tier process at our farm for bad weather. If it was just a bad storm, we could go to the cellar under our house, which had stone walls. It was pretty small and usually only housed our freezer and canned goods. The second tier of safety came when the storm started turning bad. Then we would go to the “cave,” which was not a cave but a teepee-like cement structure on top of the ground and a cement bunker underground. There was a little chimney hole in it so that air would be allowed down into the cave. My father was the one who would make the decisions about our shelter in bad weather. He would be out looking at the clouds and I would yell to him, “Should we go to the cellar Daddy?” or if I thought it looked really bad, ask him about going straight to the cave. I never saw a tornado as a kid. That’s because I would be in one of those two places — and usually very scared. I did however, see many wicked, wicked cloud formations. It was art at its finest. The colors of the clouds were always amazing: shades of green that I had never thought possible. But the thing that rushed back to me this weekend with the most intensity was the smell. There is a certain smell in the Midwest when a bad storm is kicking up. It’s a damp, wet smell, void of all dust. It’s a cold smell. It’s also a very clean smell. It’s a smell that is unsettling, because it always precedes and follows bad weather. But for some reason this past weekend, the smell had a nostalgic effect on me. It reminded me of my dad and the precautions he would take to make sure my mom and us kids were in the right kind of shelter for whatever was coming our way. Even on nice days, brisk straight winds seem to blow in Kansas. 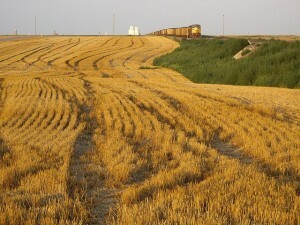 Save for waving wheat, there is little to stop it west of the capitol in Topeka. I keep missing the peak of wheat season — or seasons, when “winter wheat” and then “spring wheat” shoot up. Kansans tell me you can get a genuine sense of sea sickness as the wheat billows in the breeze. Any time I’ve been there, I feel, instead, a sense of emptiness, aloneness, as if it’s just you and the grasshoppers and the wind, whistling through the sunflowers or grain. 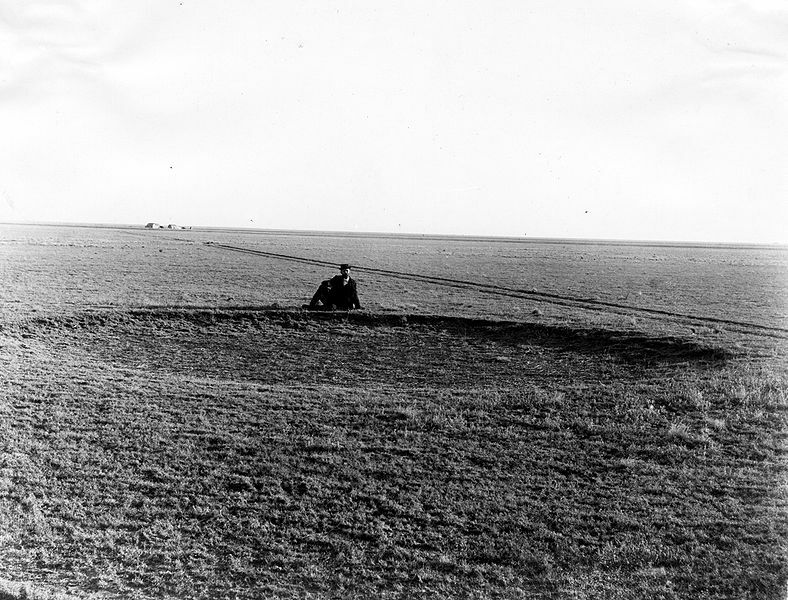 “When we have rain and crops, we don’t want to go, and when there ain’t no crops, we’re too poor to go; so I reckon we’ll just stay here till we starve to death,” farmer John Zee wrote in the book Sod and Stubble: The Story of a Kansas Homestead in 1936. Those were “Dust Bowl” days in Kansas as well as Oklahoma and Texas below, when families by the thousands did abandon the Great Plains in droves. Connie Doebele told me that on a clear day “out there,” as Kansans call their western flatlands, one can see across equally level and dry eastern Colorado all the way to the Rocky Mountains, 350 kilometers to the west. I would have said this was “Kansas brag” had I not seen this for myself — not from there but from the Texas Panhandle, a similar distance from Pikes Peak. All around them, early Kansas settlers beheld a moving sea, not just of grass but of the bison that Americans call “buffalo,” stretching to the horizon. 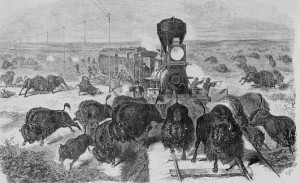 These beasts were the principal source of meat and hides — and thus survival — for native Plains Indians, who, understandably, took armed umbrage at the wanton slaughter of millions of buffalo by white hunters and “sportsmen,” including those who shot the animals as a lark as they passed through herds on the railroads that pushed across the plains. The results were the near-decimation of the buffalo population and the ultimate subjugation of the Indians who opposed this carnage. And this “Indian Country” became a different kind of Wild West as the 19th Century unfolded. 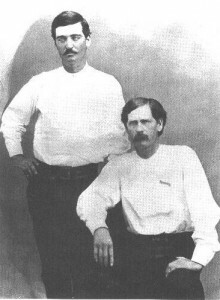 More notorious Old West gunfighters, and equally famous sheriffs and deputies, loitered in Dodge City’s gambling halls and brothels and saloons — including the Long Branch, made famous in the enduring TV western “Gunsmoke” that was syndicated around the world — than anywhere else on earth. Today we think of Kansas as an out-of-way, kind of benign and harmless place, but it was deadly back then. Kansas was the collision point between pro-slavery and anti-slavery fanatics; the former having moved in from the slaveholding South, the latter from abolitionist pockets back east. And the bloodshed continued after Kansas was admitted to the Union as a “free” (non-slave) state in 1861. One day, two years later, more than 400 “Quantrill’s Raiders” descended upon Lawrence, Kansas — a stronghold of Jayhawkers, their equivalent on the anti-slavery side. 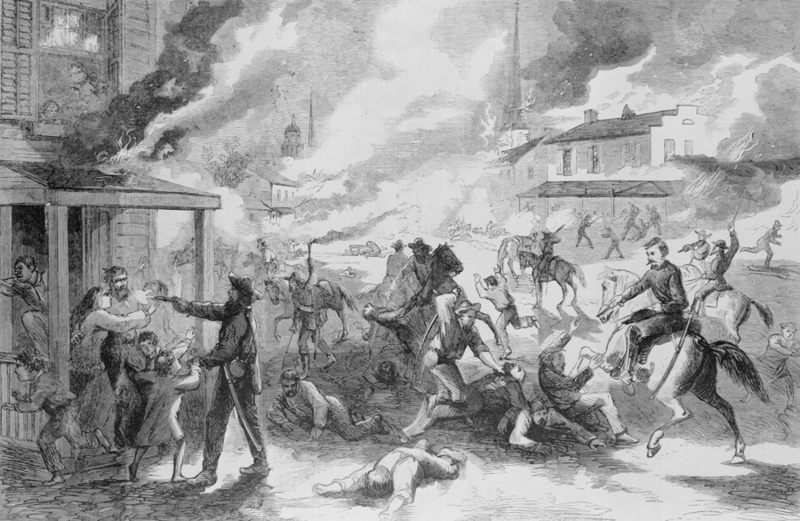 The raiders killed 183 men and boys, robbed the bank, and set the town on fire. U.S. Army troops hunted down many of the guerrillas and ordered three border counties, which were loaded with transplanted southerners, virtually depopulated. 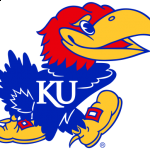 While Kansas now goes by the lovely nickname “The Sunflower State,” it was “The Jayhawk State” well into the 20th Century. 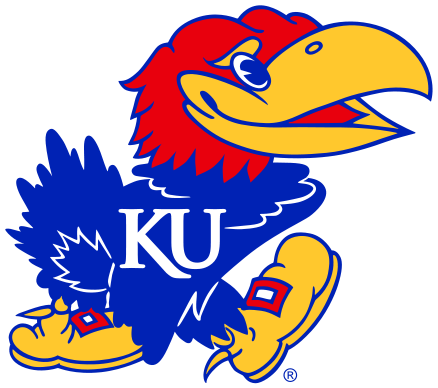 The University of Kansas’s sports teams adopted that nickname, but the school now spins the explanation that its Jayhawk — a perky bird with a big beak and, inexplicably, a bigger set of shoes — is based on some mythical combination of a quarrelsome blue jay and a stealthy sparrow hawk. No mention is made of bloodthirsty vigilantes, right there in Lawrence. I’ve had good times in Kansas, exploring the Topeka schoolhouse that inspired the U.S. Supreme Court, in the landmark 1964 Brown v. Board of Education ruling, to declare that so-called “separate but equal” facilities for blacks and whites across America “had no place” in our land; learning to play the washboard in a jug band at Emma Chase’s Café in Cottonwood Falls; watching clunker automobiles smash into each other at a “demolition derby” at the fairgrounds in Arkansas City; and learning about bluestem grasses from a ranger at the Tallgrass Prairie National Preserve, the nation’s only privately owned national park. And . . . staring upward at Big Brutus! He’s the biggest, baddest steam shovel west of the Mississippi River. 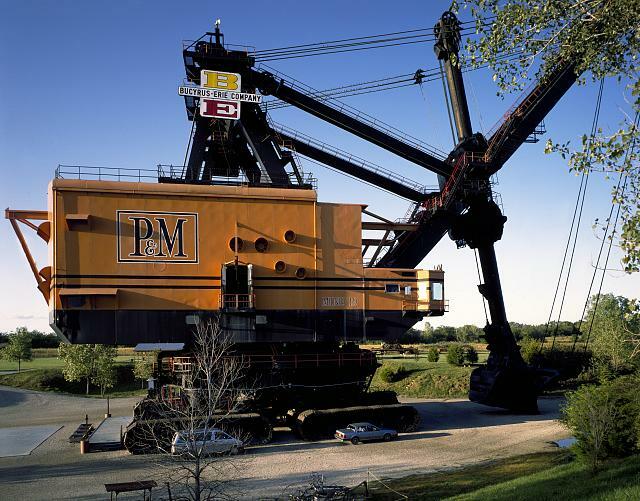 Now stilled — an enormous outdoor museum piece — this five-million-kilo strip-mining shovel once tore 2.5 square kilometers out of the eastern Kansas prairie each year, scooping up bituminous coal beneath the sod. So brawny was electrically powered Brutus in the 1960s that when the operator revved its engine, lights dimmed in the town of Mineral, three kilometers away. Kansas itself is thousands of kilometers from the nearest ocean. It has no big theme parks, no major-league sports teams, no hot cities. It’s a destination only for history lovers, tornado chasers, eco-tourists, photographers of waving wheat, and people like me who love the unhurried quietude of small towns. Kansas even has one of the nation’s largest and finest hotels — for cattle! More than 25,000 bulls and heifers check in to the gigantic feed lot in the town of Pratt each year. They’re fattened from about 350 kilograms to 500 kilos, in just three months, on grains specially mixed by an executive chef of sorts. I get a little fatter each time I’m in Kansas, too, on steak and state-fair corndogs and homemade blackberry pie. But unlike the steers, I lived to tell about it. Bumpkin. A terribly unsophisticated country person; a rube. Bushwhacker. Someone who attacks a wartime opponent by surprise. In old western movies, unsuspecting columns of settlers and cavalrymen were often bushwhacked by Indians or robbers. Sardonic. Grimly and cynically mocking, often one’s own circumstances or fortunes. Umbrage. Offense, resentment, as in taking umbrage at a distasteful remark. Sometimes as a kid we would get a “general ring” on our party line notifying us of a tornado in the area. The telephone operator would tell us the weather info. They were sort of the reverse 911 calls of their day. There was a tornado about four miles south of the cave in probably the late 50’s. It was memorable because a carpenter from a north east state drove into a tornado on highway 36. When the winds got high he parked his car in the ditch, got out, held onto the bumper until the car was yanked from his grasp. As he lay in the ditch clutching weeds he saw the car with its lights on making circles in the sky. He was later caught running down the highway some half mile away. His tools were scattered over a half mile and the biggest part of his car was the rear axle still connected to the transmission. Fascinating journalism and history. Kudos to the efforts and productivity of this pair! Wow!! I am a little put off by the use of metric measurements, however. Hey, isn’t this America, after all? If we are in Europe, do they put their equivalents in inches or yards? (No.) Maybe Ted, you could put your metric equivalents charts in your Wild Words addendum, for those who have difficulty in the conversion! (like me.. a 60+ y.o. farm boy). Besides, I just love inches and miles and bushels and acres, and the rest of AMERICANA. It’s truly just who we are. Every American can relate to that, and the rest can enjoy the exercise! Putting U.S. measurements after metric ones sure messes up word flow, too. But remember, VOA is an international broadcaster. The lion’s share of our audience and readers is in portions of the world that use metric. It would be conceited to impose U.S. measurements on our friends and ask THEM to do calculations or try to guess the approximate metric equivalent.